Well, he had me till the last line about puppyhood being the time rescue adult shelter dogs. Not sure what he means since the article is about getting a new puppy, but i am so tired of this pressure on people to “rescue” a dog, rather than buy from a breeder. There is no longer a pet overpopulation problem, but apart from that, why would anyone get a mixed breed of unknown background, but most likely a behavioral issue, rather than a carefully bred, healthy purebred, no matter what breed. People puff up with moral superiority attitude and look down their noses at my gorgeous (intact) purebred Gordon and Irish Setters. Well, since you have no idea what breed is in your rescue dog, let’s hope it’s not one that doesn’t really get along with people, or has aggression issues, because that really wouldn’t be good for your two-year-old. I have dogs for companionship, not a pat on the back. OK, done venting, thank you. 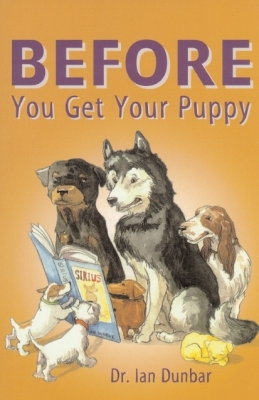 Thanks Sally, for posting this download-able puppy guide.